What is a Bachelorette Party without any drinks?!?! Just to make things a bit easier for you, I have taken it upon myself to gather together some popular drink recipes that the ladies LOVE! THEN on top of THAT, I have even included some of the most DELICIOUS Jello Shot recipes that would be perfect for a Bachelorette Party! Yes, I know you absolutely LOVE me… The smile on your face makes the hard work, time, and effort I spent totally worth it! Drink up, ladies, and party! Shake liquid ingredients like hell in a shaker with ice. Place lime wedge on the rim of a Martini glass. Pour mix into the glass. Enjoy! Mix in a shot glass. Shoot. Shake with cracked ice. Serve in a 12 oz. glass. Garnish with a cherry and 1/2 slice orange on a tooth pick. Mix ingredients together over ice in a glass. Pour into shaker and give ONE brisk shake. Pour back into glass and make sure there is a touch of fizz at the top. Garnish with lemon. Blend Ice until throughly crushed. Add Rum, Peach Nectar, and Scnhapps. Lightly blend until mixed well. Add Frozen Peaches. Blend until slushy. Enjoy! You have everything else taken care of for the party. 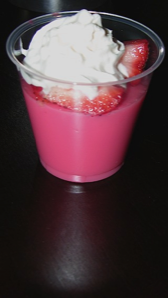 Now you want to get ahold of the perfect Jello shot recipe to top the night off with whipped cream and a cherry on top. These recipes are totally femme, and yes, they definitely pack the She-Ra punch! 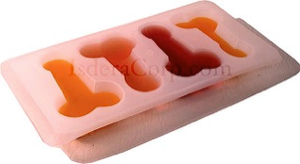 For more sweet and powerful jello shot recipes, check out JELLATIO.COM. They list everything from dessert style recipes to pudding shots, multi-layered shots to traditional. They even include tips on how to become the Jello Shot Master! Everything you need to know to create fun and tasty jello shots. In a medium, heatproof bowl, stir together strawberry Jello and boiling water until gelatin is totally dissolved. Add the champagne and crème de strawberry to the bowl and stir until well mixed. Pour mix into your little cups and refrigerate 2 – 4 hours until firm. Bring water to a low boil in small saucepan. Pour cranberry gelatin into medium, heatproof bowl and add boiling water. Stir until the gelatin is completely dissolved. Allow to cool. Add the vodka, lime juice, Triple Sec, and Limoncello to the cooled mix and stir until combined. Pour your mix into your cups. Stick in the refrigerator and chill until firm, 4 – 6 hours. Bring water to a low boil in a small saucepan. Pour the boiling water into a medium, heatproof bowl, and slowly add the unflavored gelatin, stirring until the gelatin is totally dissolved. Allow to cool. In a smaller bowl, mash together the mint, bourbon, and sugar with a wooden spoon until the sugar is dissolved. Add this to the mix that has cooled down. Pour the mix into your cups and refrigerate until firm, which is usually about 4 – 6 hours. Bring water to a low bowl in a small saucepan. Pour the lime gelatin into a medium heatproof bowl and add the boiling water. Stir until the gelatin is completely dissolved and allow to cool. Add the vodka, curacao, and lime juice to the cooled mix and stir until combined. Pour the mix into your cups and refrigerate until firm. Usually takes about 4 – 6 hours. Put the lemon Jello into a medium sized bowl and add the boiling water. Stir until completely dissolved and allow to cool. Add the Vodka and Cointreau and stir until well mixed. Pour the mixture into your little cups and refrigerate for about 4 – 6 hours until firm. Bring 4 ounces of Parfait Amour to a boil in a small saucepan. In a medium, heatproof bowl, stir the unflavored gelatin, sugar, and boiling Parfait Amour until well combined and allow to cool. Add the remaining 8 ounces of Parfait Amour, vodka, and Cointreau to the mix and stir well. Pour mix into your little cups and refrigerate for about 15 minutes so that the gelatin may slightly set. If garnishing, use a chopstick or toothpick to push a violet into the top of each cup. The return to the fridge and chill for 4 – 6 hours until firm. Makes 4 large or 20 small shots. In a medium, heatproof bowl, stir together the strawberry Jello and boiling water until the gelatin in completely dissolved and allow to cool. Add the crème de cassis, crème de cacao, chocolate milk, and champagne to the mix and stir until well combined. Pour the mix into your little cups (or champagne flutes) and refrigerate for about 4 – 6 hours until firm. If garnishing, top each shot with a dollop of whipped cream and a few violet or rose petals on top of the whipped cream. Plum puree: In a blender or food processor, combine the plums and lime juice. Blend until smooth. It should make about 4 ounces. Bring water to boil in small saucepan. In a medium, heatproof bowl, stir the grape Jello and boiling water until totally dissolved and allow to cool. Add the Armagnac and plum puree to the bowl and mix until completely combined. Pour the mix into your little cups and refrigerate for 4 – 6 hours until firm. If garnishing, push an orchid lightly onto the top of each shot. In a small saucepan, combine espresso, half-and-half, chocolate syrup, and cinnamon over medium heat, stirring until well mixed. Bring to a low boil. In a medium, heatproof bowl, sprinkle the unflavored gelatin over the hot espresso mix and stir until gelatin is dissolved, then allow to cool. Add the vodka, Kahlua, and crème de cacao to the cooled mixture and stir until well combined. In a medium, heatproof bowl, stir together watermelon Jello and boiling water until gelatin is totally dissolved. Add Midori, raspberry vodka, and peach schnapps to the bowl and stir until well mixed. In a medium, heatproof bowl, stir together strawberry-banana Jello and boiling water until gelatin is totally dissolved. Add the banana rum and Frangelico to the bowl and stir until well mixed. In a medium, heatproof bowl, stir together peach Jello and boiling water until gelatin is totally dissolved. Add the raspberry vodka, peach schnapps, and Chambord to the bowl and stir until well mixed. In a medium, heatproof bowl, stir together mixed fruit Jello and boiling water until gelatin is totally dissolved. Add the lemon rum, vanilla vodka, apple vodka, and peach schnapps to the bowl and stir until well mixed. Bring water and Rose’s Sweetened Lime Juice to a boil in a small saucepan. In a medium, heatproof bowl, stir together cranberry Jello and boiling water until gelatin is totally dissolved. Add the vodka, Triple Sec, and Chambord to the bowl and stir until well mixed. In a small saucepan, pour in the Coffee-mate and milk and sprinkle in the unflavored gelatin. Stir well, then allow to sit for about 3 minutes. Put the pan over medium heat and bring to boil, stirring frequently to make sure that the gelatin dissolves. Immediately remove pan from heat and allow to sit for 10 minutes. Add the Bailey’s, Kahlua, and amaretto and stir until well combined. Pour the mix into your little cups and refrigerate for 2 – 4 hours until firm. Bring water and orange juice to a boil in a small saucepan. In a medium, heatproof bowl, stir together orange Jello and boiling water mix until gelatin is totally dissolved. Add the raspberry and vanilla vodkas, and Keke Beach to the bowl and stir until well mixed. First layer: Put the chocolate milk in a small saucepan and sprinkle with the unflavored gelatin. Stir well, then allow to sit for 3 minutes. Put the pan over medium heat and bring to boil, stirring frequently to make sure that the gelatin dissolves. Promptly remove from heat and allow to cool for 10 minutes. Add the Godiva liqueur and crème de cacao, and mix until well combined. Pour mix into your little cups, only filling them 1/3 of the way full. Refrigerate about 1 hour, and then begin making the second layer. Second layer: Put the milk and vanilla extract in a small saucepan and sprinkle with the unflavored gelatin. Stir well, then allow to sit for 3 minutes. Add the vanilla vodka and vanilla schnapps, and mix until well combined. Pour the mix into your little cups, filling them only 2/3 full. Back to the fridge for 1 hour. Then begin making the third layer. Third layer: Put the strawberry milk in a small saucepan and sprinkle with the unflavored gelatin. Stir well, then allow to sit for 3 minutes. Add the Tequila Rose and crème de strawberry, and mix until well combined. Pour the mix into your little cups and fill them up the rest of the way. Refrigerate 2 – 3 hours until firm.